Click here to view Christina's Liturgical Wake Service. Click here to view Christina's Mass of Christian Burial. 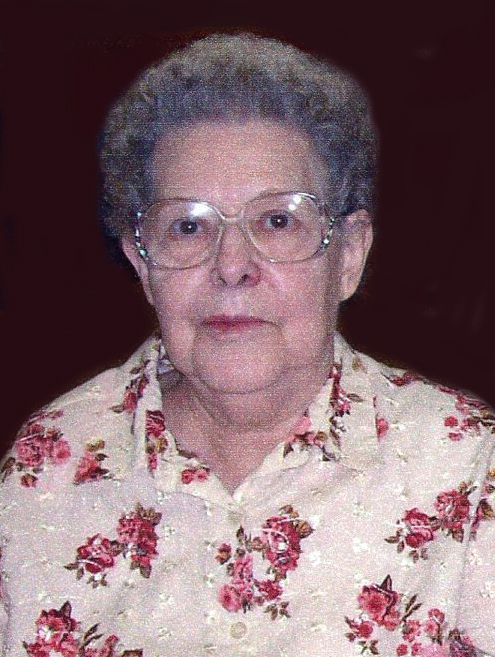 Christina Victoria Feickert, 93, of Aberdeen, and formerly of Leola and Long Lake, SD, passed away Sunday, September 9, 2018, at Avera Mother Joseph Manor in Aberdeen. Mass of Christian burial will be 10:30 a.m., Saturday, September 15, 2018, at Sacred Heart Catholic Church, 409 3rd Avenue SE, Aberdeen, with Father Mark Lichter as celebrant. Burial to follow at Sacred Heart Cemetery. Schriver’s Memorial Mortuary and Crematory, 414 5th Avenue NW, Aberdeen, is in charge of arrangements. Friends may sign Christina’s online guestbook and also view her service via the live stream service link at www.schriversmemorial.com. Visitation will be 5-7 p.m., Friday, at the mortuary with a liturgical wake service, time of sharing, and rosary beginning at 7:00 p.m. Visitation continues one hour before Mass at church on Saturday. Christina Victoria Geffre was born on October 13, 1924, near Leola, SD to Joseph and Mary (Hartman) Geffre. Born the fourth oldest of eleven children, Christina attended grade school but stayed home from high school to help raise her brothers and sisters. Christina was united in marriage to Elvin Feickert on June 20, 1946, in Leola, SD. The couple made their home on a farm near Long Lake, SD. Christina loved being a farm wife and mother; raising seven children and being a constant behind-the-scenes supporter and advisor for her husband. She loved gardening, sewing, and doing embroidery and she made quilts for most of her grandchildren. Christina also enjoyed baking special birthday cakes for all her children and capturing family moments through photography. She loved animals, especially their farm dog “Snoopy”, and always made sure she was taken care of. In August of 1979, Christina and Elvin moved to Leola, where in addition to being a homemaker and continuing gardening and sewing, Christina also was employed at The McPherson County Herald and the lunchroom for the Leola School District. Her greatest job however, was being a mother, as she in total raised children for over 50 years of her life. During her retirement years, Christina enjoyed traveling and collecting coins and stamps. She was also a talented artist and loved drawing and painting when she had the time. In 1993, Christina and Elvin moved to Aberdeen. They shared 60 years of marriage before he passed away on December 24, 2006. She became a resident of Avera Mother Joseph Manor Retirement Community in Aberdeen on May 1, 2014 and continued to reside there until the time of her death. Christina was a member of South Dakota Right To Life and of Sacred Heart Catholic Church. Blessed to have shared in her life are her children: David (Sonia) Feickert, Dennis (Rae) Feickert, Roger (Cathy) Feickert, and Peter (Tracy) Feickert, all of Aberdeen, Philip (Pam) Feickert of Sioux Falls, SD, Joyce (Marvin) Kirchler of Tucson, AZ and Sidney (Launa) Feickert of Long Lake, SD; 16 grandchildren; 36 great-grandchildren; one great-great-grandchild; one brother, Gerald Geffre; and two sisters, Blanche Harkness and Margaret (Bob) Frank. Christina was preceded in death by her husband, Elvin; her parents, Joseph and Mary; two brothers, Vincent and Andrew; and five sisters: Grace, Regina, Dorothy, Alice, and Rose. Pallbearers will be Christina’s six sons. Honorary pallbearer will be her daughter, Joyce.